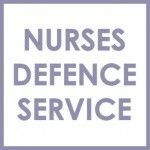 Nurses Accountability and Delegation to Nursing Associates | Nurses Defence Service – UK. Nurses are accountable for their own practice in a number of ways. They are regulated by the Nursing and Midwifery Council and must abide by the standards set in The Code, Professional standards of practice and behaviour for nurses and midwives. Those standards are what patients and members of the public expect from healthcare professionals. A nurse is accountable for his/her acts and omissions and must be able to justify them to the Nursing and Midwifery Council. Any nurse whose practice falls below the standard expected of a registered nurse may be removed from the register. A nurse at all times owes a duty to care and must act in the best interests of people under both the civil and criminal law. A nurse who causes harm to a patient when it was reasonably foreseeable that their act or omission could cause harm may be liable under the civil law of negligence. Where it is considered that a nurse’s practice amounts to gross negligence a nurse may be liable under the criminal law. Serious acts such as gross negligence manslaughter could result in a prison sentence. Nurses are also contractually accountable to their employer under their terms of contract. A breach of contract could result in disciplinary proceedings. 6.2 maintain the knowledge and skills you need for safe and effective practice. “There is strong support for the nursing associate role and the Department of Health has today decided that it is a role which requires regulation. On 25th January 2017, the NMC decided to take on the regulation of the new nursing associates. If the NMC take on the role of regulator for the nursing assistant, how will this impact on accountability not only for the nursing assistants, but for the registered nurses? 11.3 confirm that the outcome of any task you have delegated to someone else meets the required standard. Any nurse who delegates a duty or a task to any nursing associate must ensure that it is an appropriate delegation. Delegation is the process by which you (the registered nurse) allocate clinical or non-clinical treatment or care to a competent person (the nursing associate). You will remain responsible for the overall management of the service user and accountable for your decision to delegate. You will not be accountable for the decisions and actions of the nursing associate. The nurse is able to provide supervision and make checks on the outcome of the delegation. As a regulated professional the nursing associate will be accountable for his/her actions. Like the registered nurse he/she must not take on a delegated task if he/she is not competent or confident they have the capacity or time to take on the task. Any delegated task must always be in the best interests of the patient. A nursing associate who is not confident that the delegation is in the best interests of the patient then he/she must refuse to take on the delegated task. Any acceptance of a task that is beyond the competence of a nursing associate could result in proceedings against both the registered nurse and the nursing associate. If a nurse or nursing assistant is working within their competence, the employer will be accountable, known as vicarious liability, for those actions. It is yet to be seen how the nursing associate role will unfold and how the associates will assist the registered nurses or how it will be regulated. The patient is handed the incorrect medication to take home. This is known as the ‘Swiss Cheese Model.’ (Joseph Reason). At each stage there has been an error which could have been prevented. Q. Is the nurse responsible for her act/omission? Is the nursing assistant responsible? A. They are both responsible for their own acts/omissions as regulated professionals. The nurse failed to notice the error and inappropriately delegated the task. The nursing associate failed to refuse the task as she was not competent.